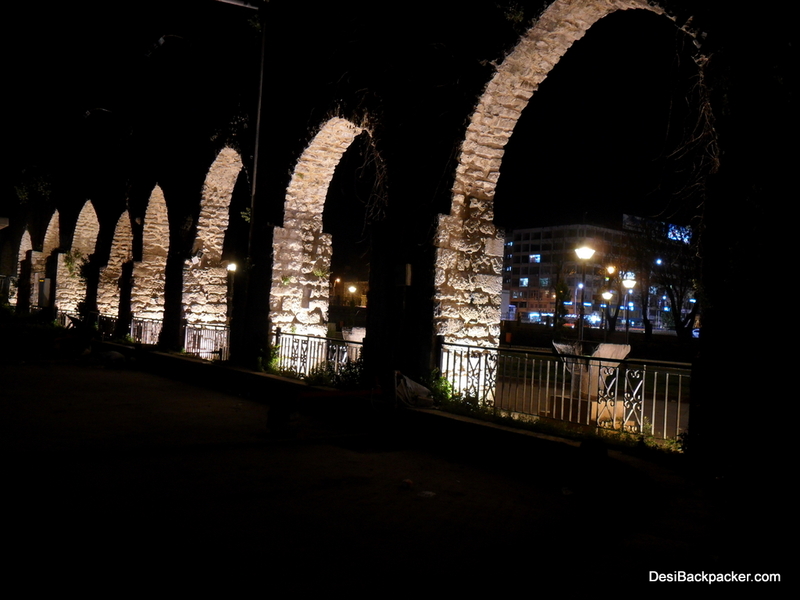 After deciding to ditch the idea of spending another night in Palmyra, I decided to head to Hama. 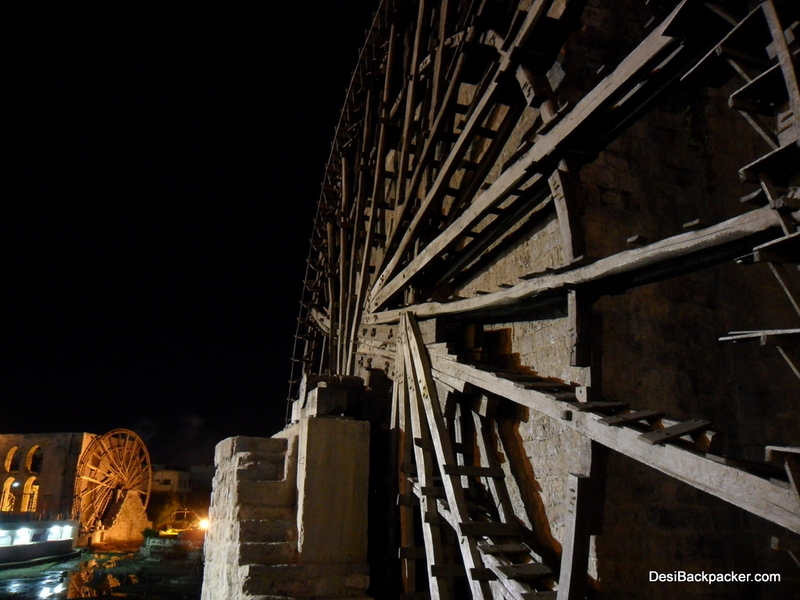 Hama is a small-ish town by the Orontes river and is well known for it’s Norias (waterwheels) and aqueducts. 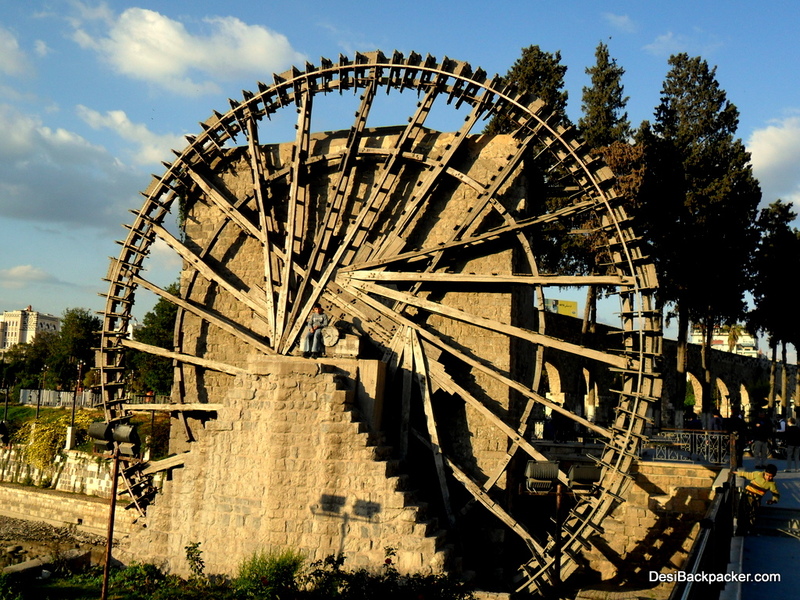 It is also a great base for exploring some nearby attractions. I got there around 4 and checked into the nice and friendly Riad Hotel (dorm bed: 300 pounds). Here I ran into some really nice fellow travellers. One of them was an Indonesian guy on a 3 week trip to Turkey, Syria and Saudi Arabia. In an online forum he had mentioned his plans and I had sent him an email to meet up. He hadn’t replied to that message and yet here we were, running into each other purely by chance. This just goes to show that not even free will dares come between a guy and his desire to practice a language that he has once learnt. Muhahahahaha! There was also a very energetic Polish guy and really nice Kiwi couple. So in spite of my better judgement, I joined a tour that the hotel was conducting the next day. It was expensive (800 pounds) and the places could easily be covered by public transport. But I did it mostly for the company, as all of the others that I mentioned were signed up already. After a cheap Falalfel dinner that night I tried the halawa-bi-jibn which is quite famous but I found that is probably an acquired taste. I then discovered the awesome sweet goodness of freshly baked chocolate croissants. And that too for just 10 pounds each! I also bought some the next day to pack along for the tour. 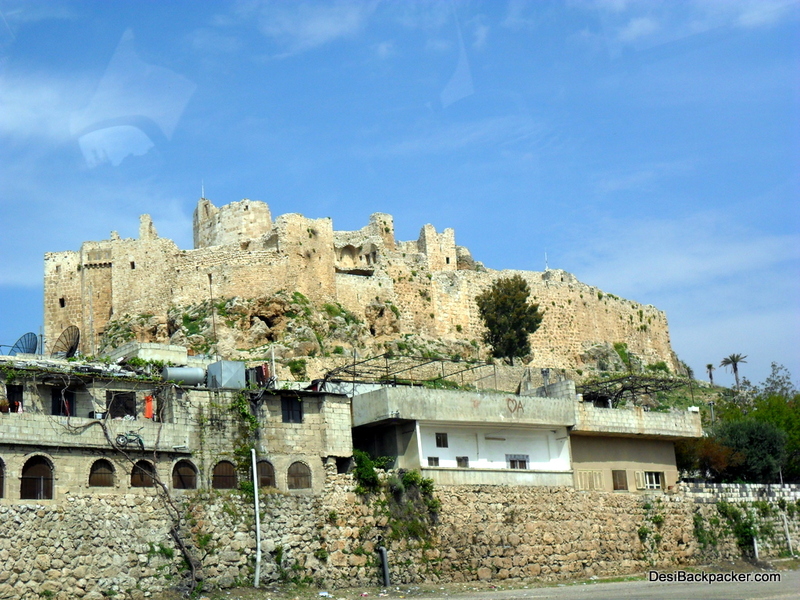 The Misyaf Castle was the first stop on the tour. I won’t go into the history here, but do you remember Saladin (Age of Empires, anyone)? As the “liberator of Damascus”, that dude is big in Syria. He had tried and failed to take the Misyaf Castle, which was at that time held by a tribe called hashashins. These buggers occupied quite a few fortresses in the Syria/Persia region. They were experts in infiltrating behind enemy lines and slaying their leader. And that, ladies and gentlemen is how we got the word “Assassin”. 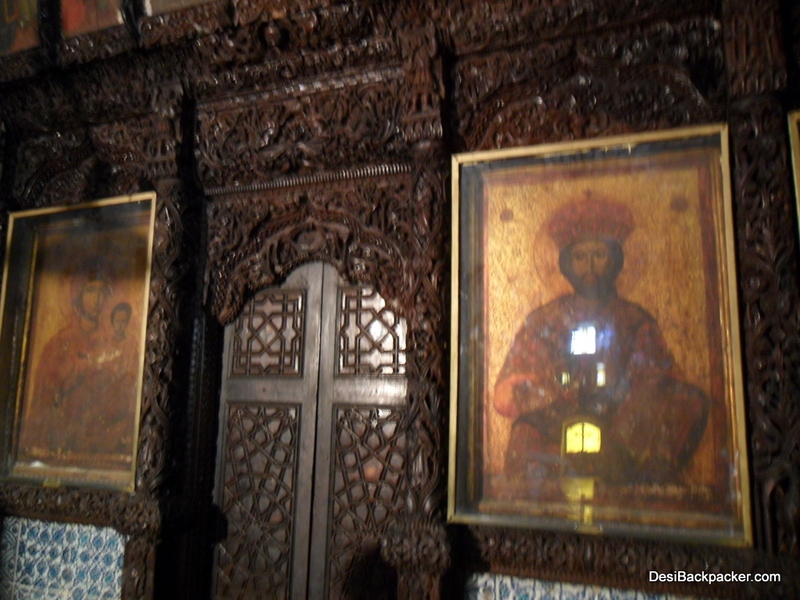 Inside the Monastery of St George. Notice the dark faces? This is one place I would never have visited on my own. But here we were and it piqued my curiosity. I saw quite a few Greek lettering and when I commented on it, the priest who was showing us around remarked – “We are Greek Orthodox, of course”. I told him that I was thinking about visiting Agion Oros (Mt. 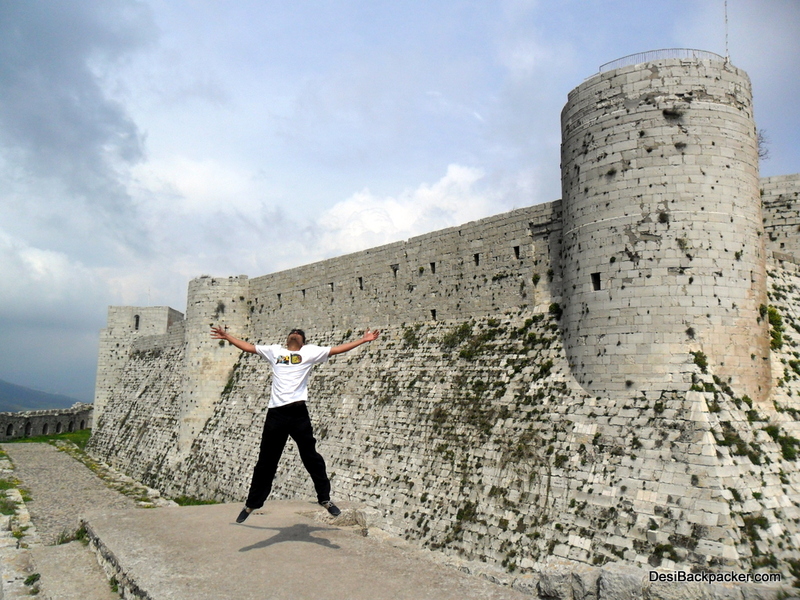 Athos in Greece) and he got so excited! Another curious thing that I noticed whas that the faces of Jesus, Mother Mary and the Saints here are much darker than those in any other church I have seen before. He had no answer to that. Oh well. 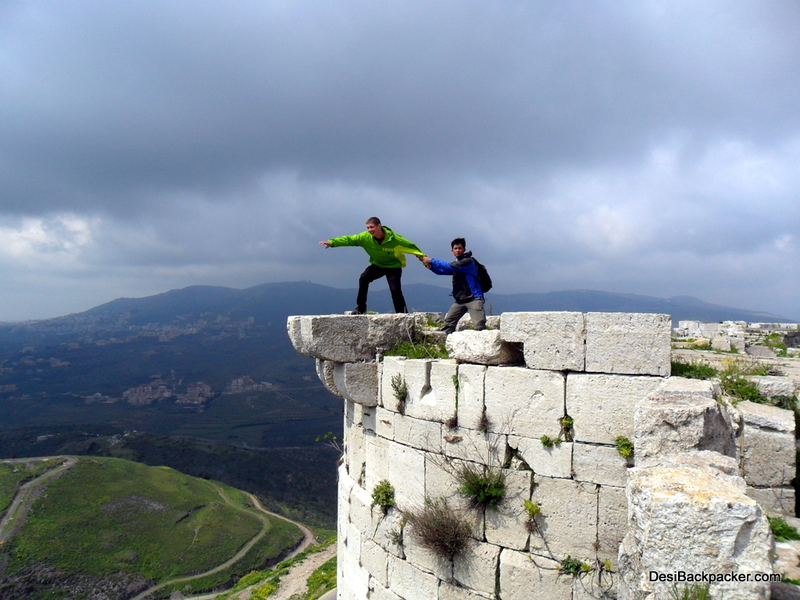 The “Castle of the Knights” is a beautiful and formidable cursader castle. Our old friend Saladin messed up here as well. It is here that I felt really glad that I had taken this tour. Forts/Castles are perfect places for goofing around, and you can’t goof around by yourself. I mean you can, but you’d look a lot more insane. The three of us had a great time rescuing princesses, slaying dragons and keeping the infidels at bay. In the evening, back at hama I “discovered” a dish called “fuul”. I had it once in Damascus and now again in Hama. Yum. AND vegetarian. After that I really had no energy left and retired to the hotel for the night. Mucking around in Castles is a really tough job, but someone’s gotta do it! Tomorrow: Aleppo! 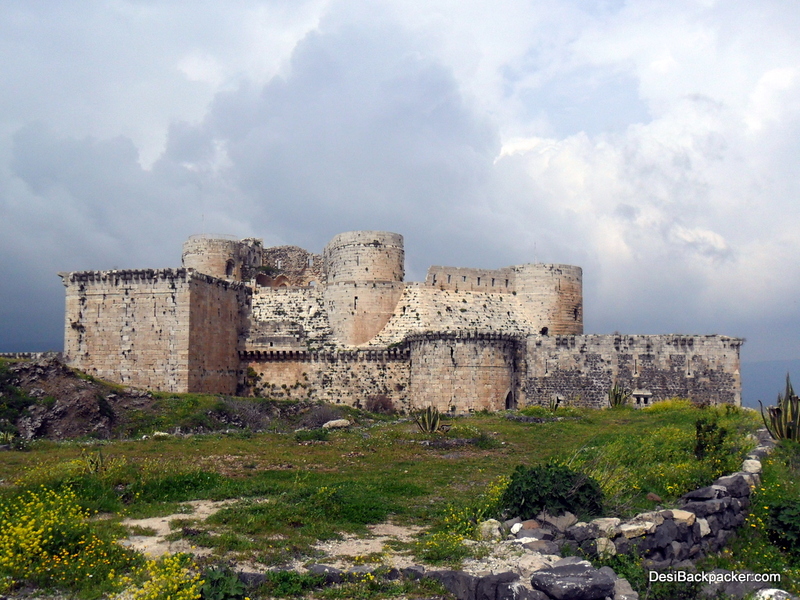 This entry was posted in Syria and tagged Hama, Krak de Chevaliers, RTW2011, Syria. Bookmark the permalink.